Supporting Children with Chronic Pain in School: Understanding Teachers’ Experiences of Pain in the Classroom. Are children really less fussy with food at nursery compared to at home? “They called me instant king.” A narrative analysis of the experiences of first year university international students’ fruit and vegetable consumption. 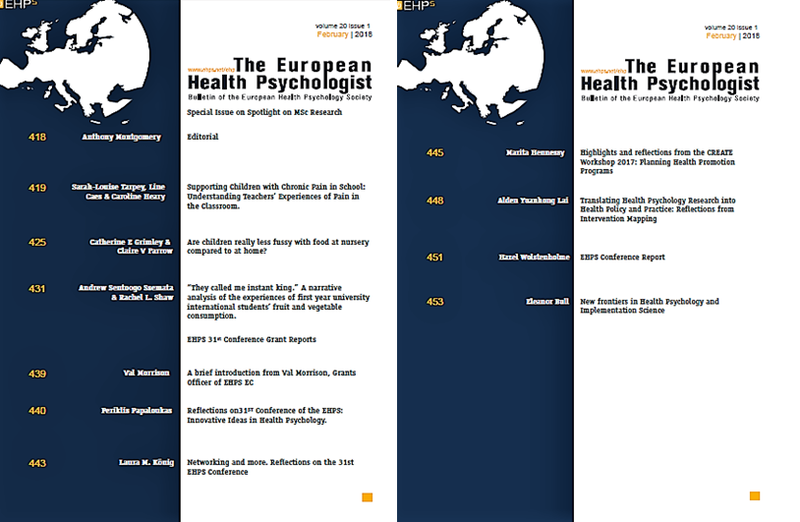 Reflections on31ST Conference of the EHPS: Innovative Ideas in Health Psychology.